The biggest punk band to emerge from Market Deeping ! 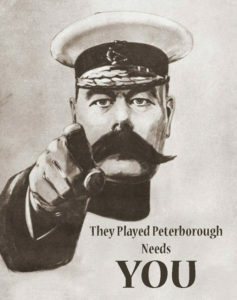 Their one single earned them some infamy because some idiots thought the Yorkshire Ripper might have been a member ! 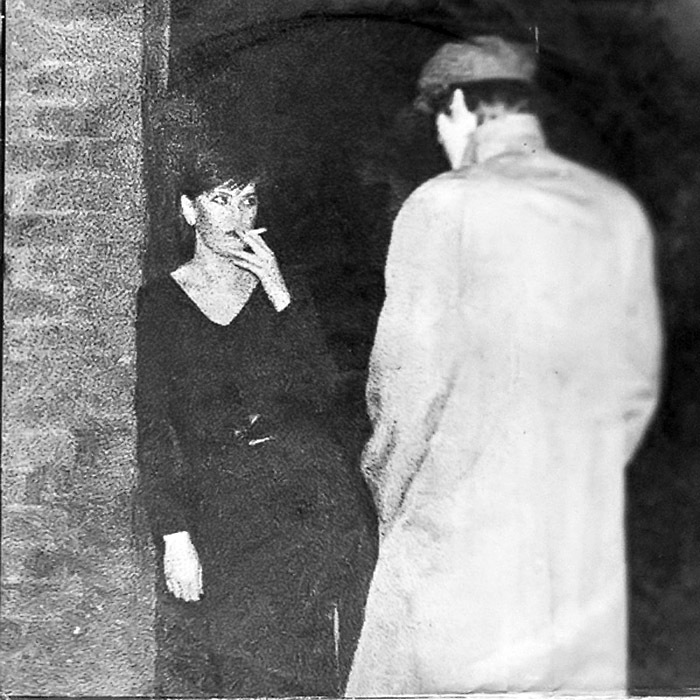 That’s what happens when you start your single with a sample of the suspected Ripper (recorded off a help line the police had set up), and also dress like him on the cover of it. Bass guitarist Allen Adams was actually interviewed by the local newspaper and even the police ! 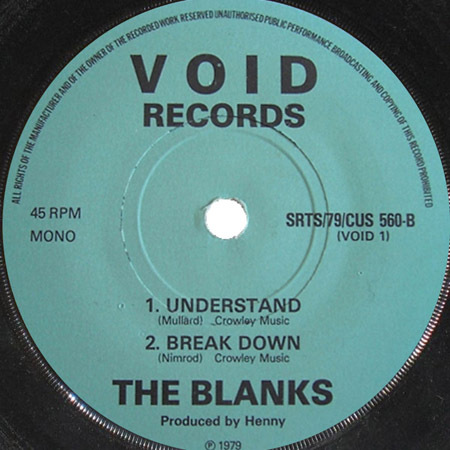 The Blanks were formed sometime between the of summer 1977 and 1978. The band had close links with The Destructors, who rose to prominence in the early 1980s as part of the UK82 mob. 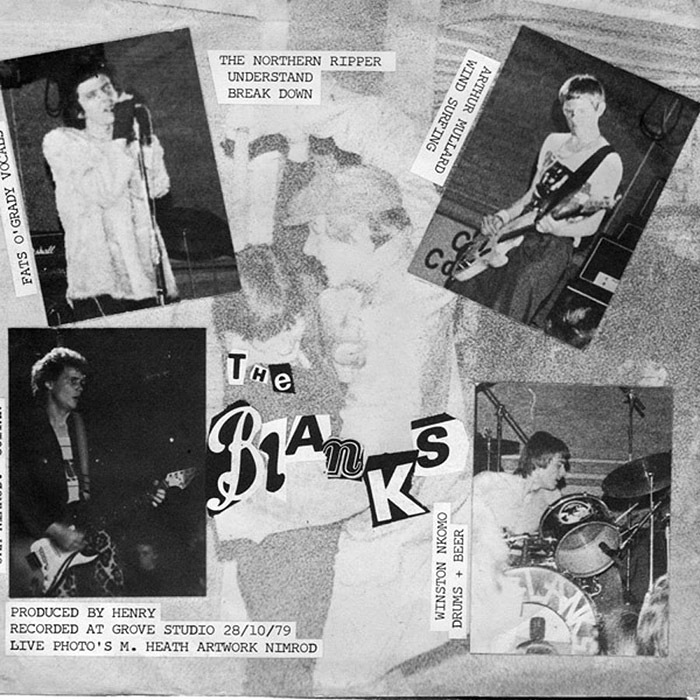 Andrew Jackson (guitar), Andrew Butler (drums) and Allen Adams (bass) had all played in The Destructors between 1977 and 1978, and when that band split the trio formed The Blanks with singer Neil Singleton. This new band debuted with a support slot to The Damned at the Wirrina in Peterborough. 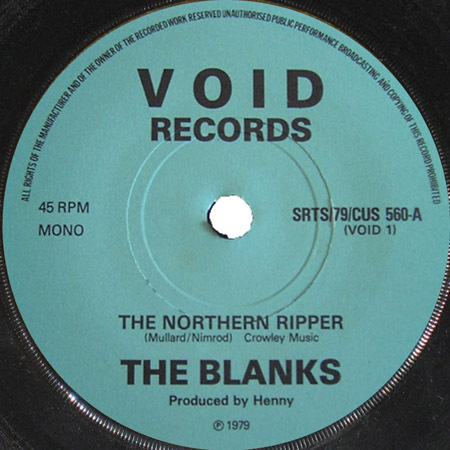 In 1979 they recorded the topical Northern Ripper single in the back room of a pub. it was a classic single, totally lo-fi and charming. They plugged away for another year, and played their last gig in May 1980 supporting rising stars Discharge. After this Adams and Andy McDonald (drums, who’d joined in 1980), re-formed The Destructors.